AUSTIN, TX (April 6, 2018) – The Academy of Country Music’s New Vocal Group of the Year, Midland, continues to shake up the scene with a Spanish version of their GRAMMY®-nominated hit “Drinkin’ Problem.” Jay De La Cueva of Mexico’s Moderatto music group joined Midland to re-record the PLATINUM-selling chart-topper at Bismeaux Studios in Austin and Blackbird Studios in Nashville earlier this year. Midland lead singer Mark Wystrach, who learned to speak Spanish while growing up on his family’s ranch in southern Arizona, suggested the idea of recording the song in Spanish to his bandmates in early 2017. Casually singing what would become a new version of “Drinkin’ Problem” – or “Brindemos” – while on set filming the song’s music video alongside his bandmates Cameron Duddy and Jess Carson, the trio agreed they should record the Spanish version when the moment was right. 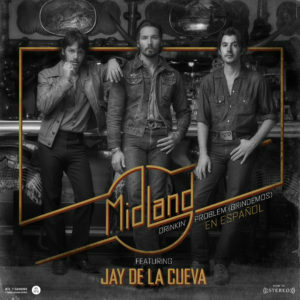 Midland first developed a friendship with De La Cueva in 2014 while recording demos at El Paso’s Sonic Ranch studio. Those demos would ultimately earn Midland a record deal with Big Machine Records. Midland is currently touring with Little Big Town on The Breakers Tour and will join Thomas Rhett on tour later this year. 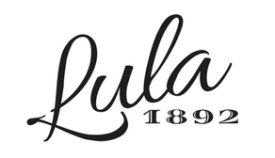 The winning group will also take the stage during the Academy of Country Music Awards April 15 on CBS at 8:00P ET/7:00P CT.
De La Cueva will perform at Coachella later this month.